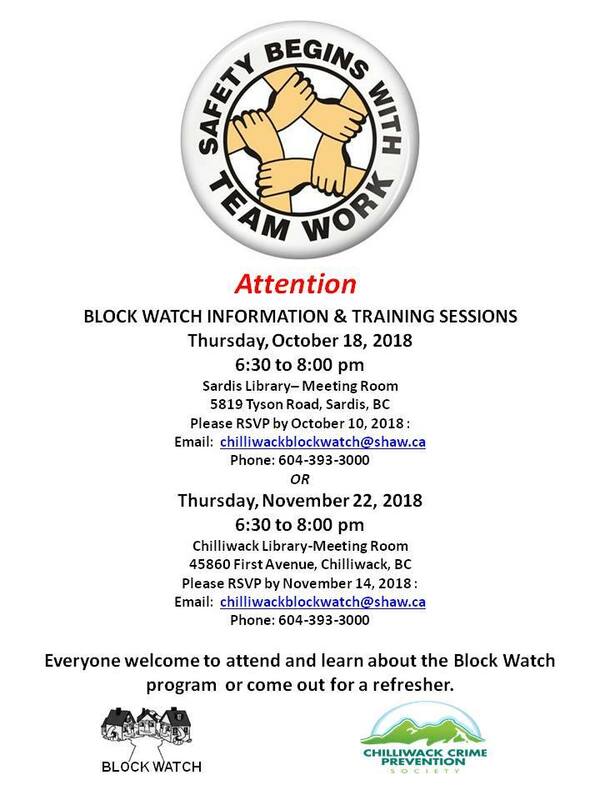 Chilliwack – The Chilliwack Block Watch has scheduled two training sessions for the new people starting up Block Watch in their neighborhood. You are also welcome to join the sessions if you are thinking of starting a Block Watch in you neighborhood but need more information. The session are on October 18, 2018 at the Sardis Library or November 22 at the Chilliwack Library. An RSVP would be appreciated so we have enough seating and refreshments. Be the first to comment on "Chilliwack Block Watch Training Sessions"